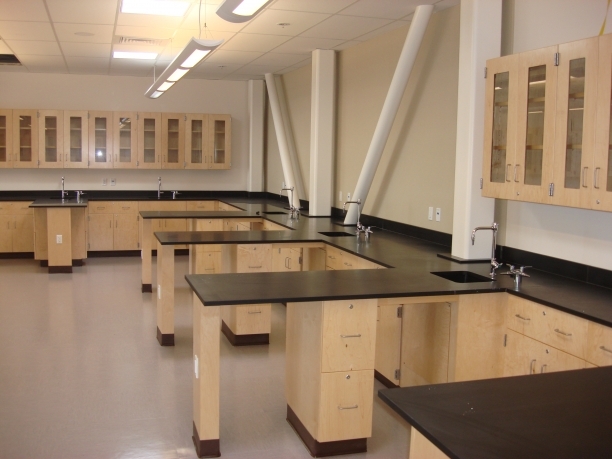 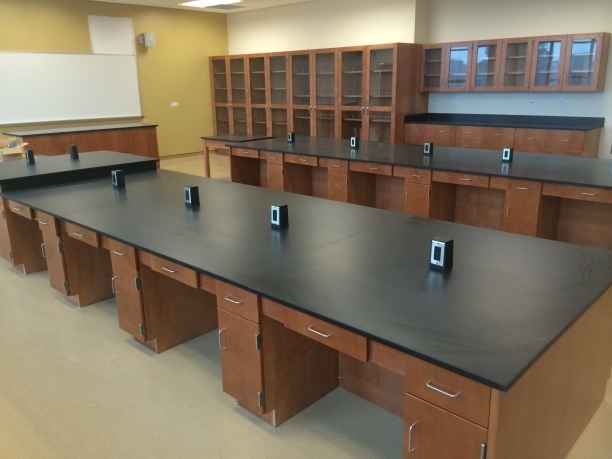 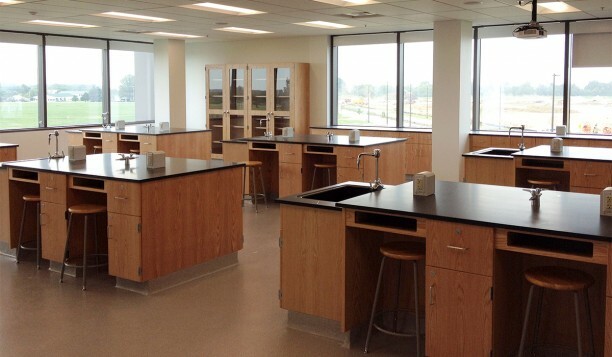 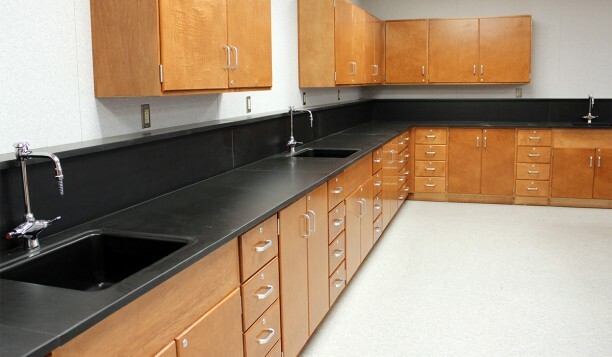 Description: Premier Tier One™ Oak, Natural finish; Phenolic Resin work surfaces. 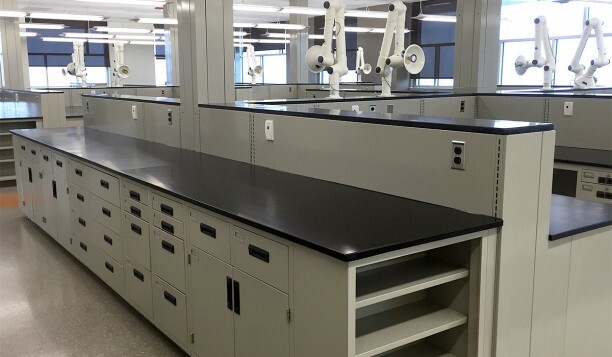 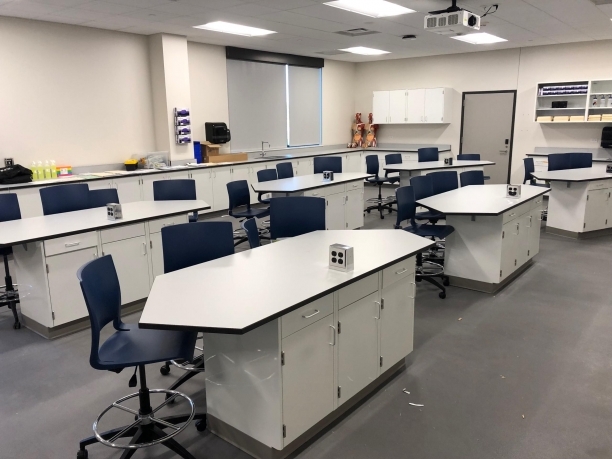 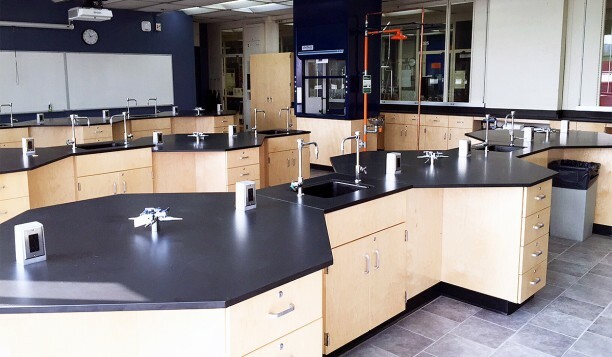 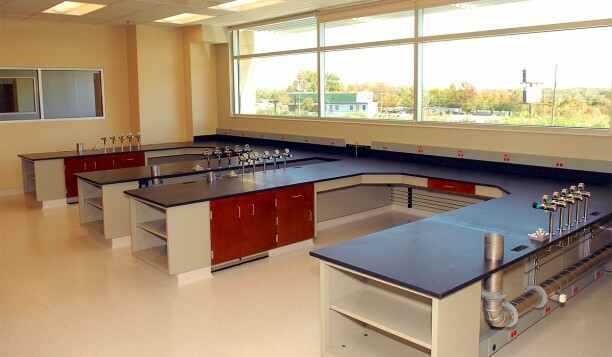 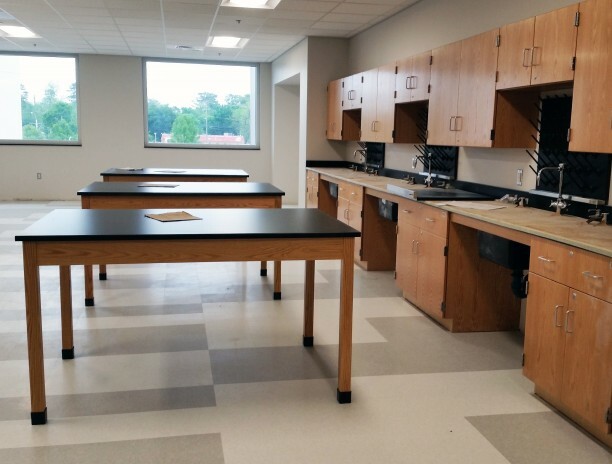 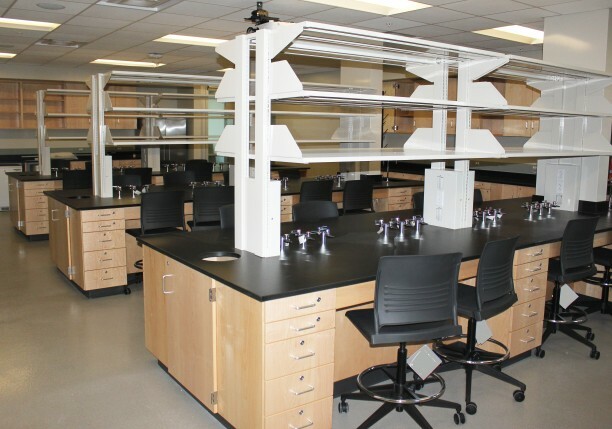 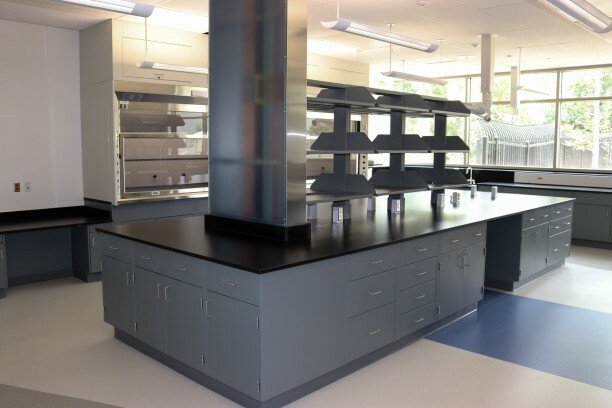 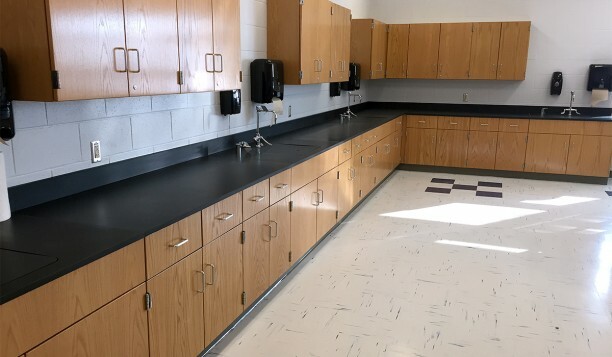 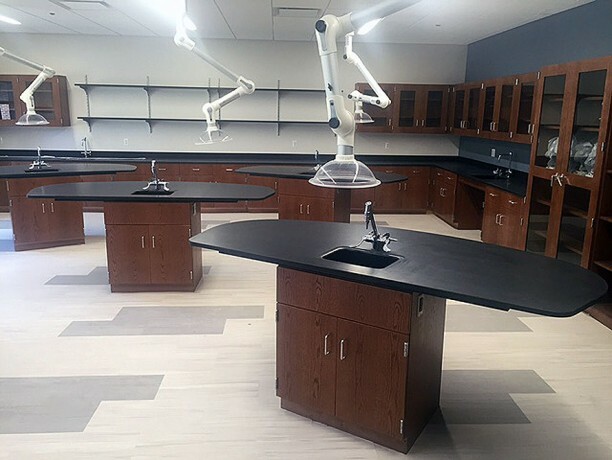 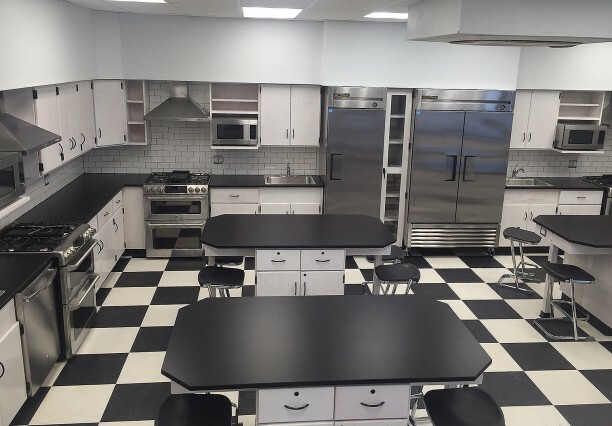 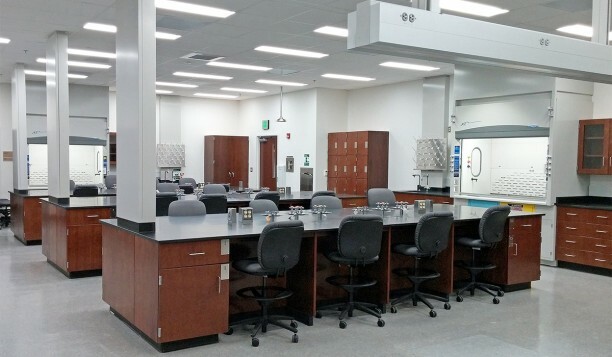 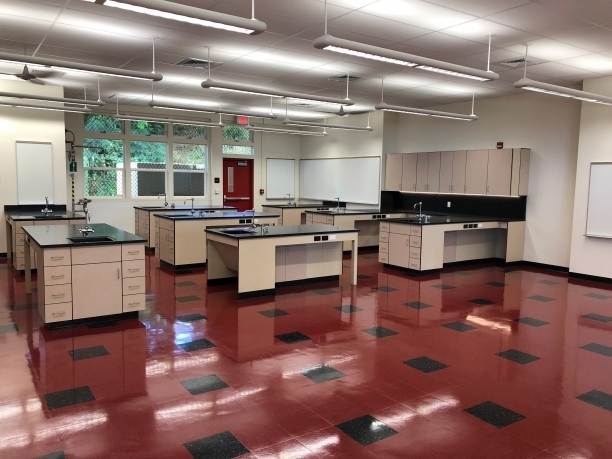 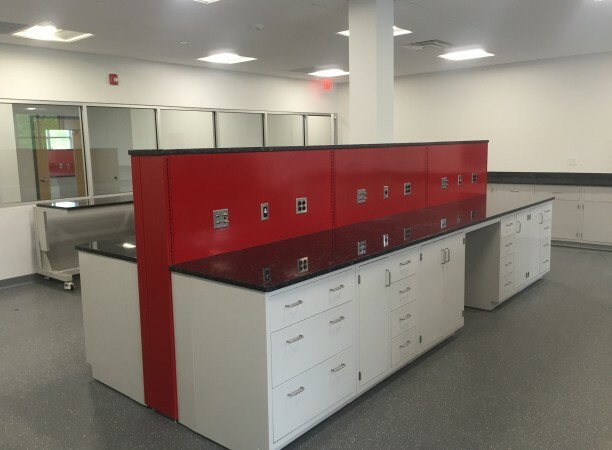 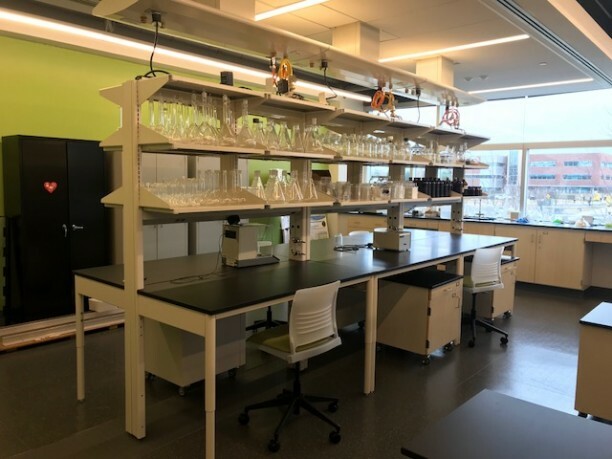 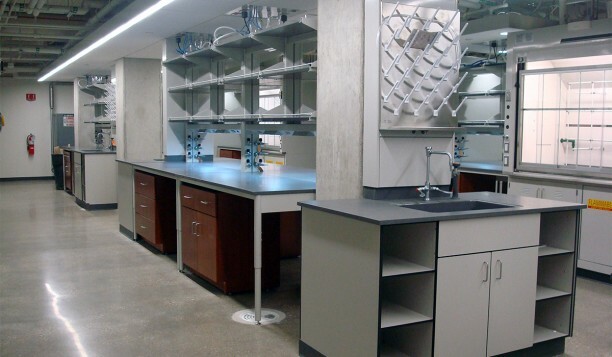 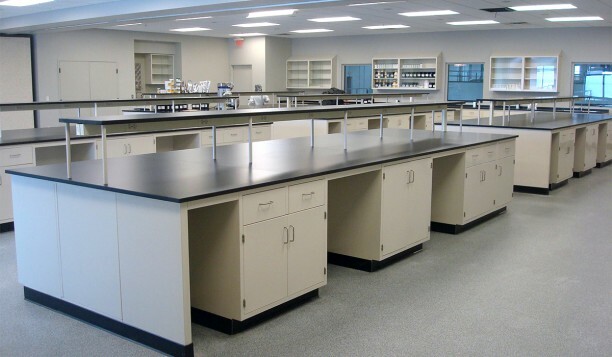 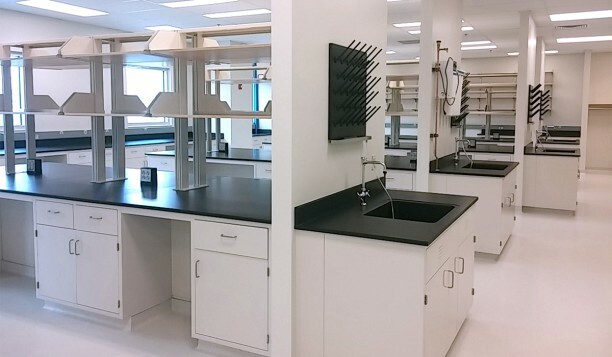 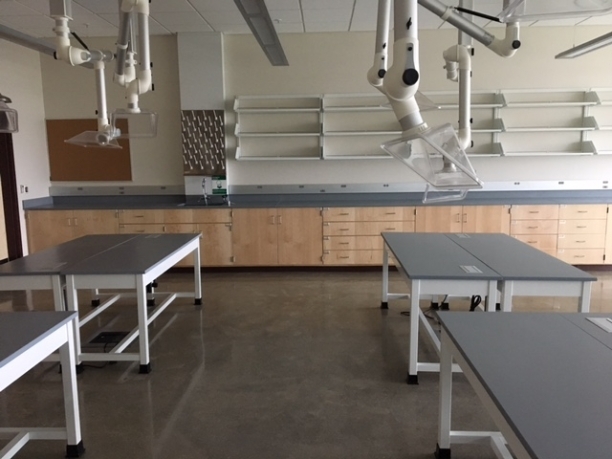 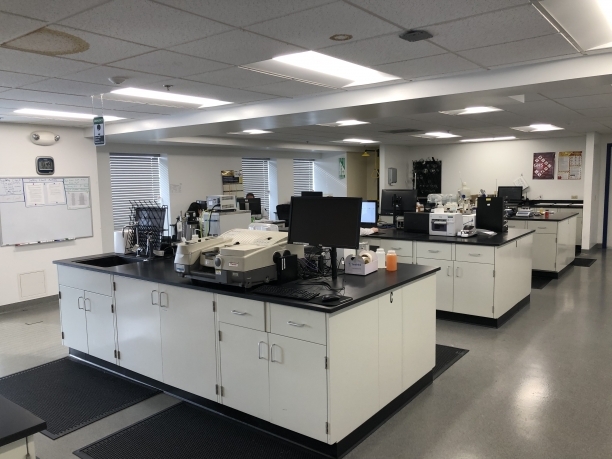 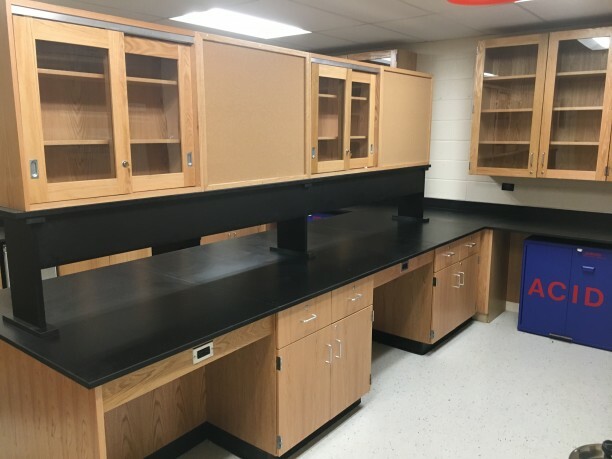 Description: ICI FlexCore, Lily White Finished Casework, Walk-In JMP Isolator Fume Hoods, Granite Counter Tops with Stainless Steel Sinks. 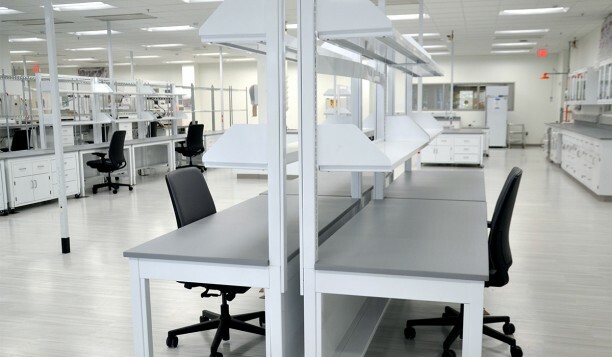 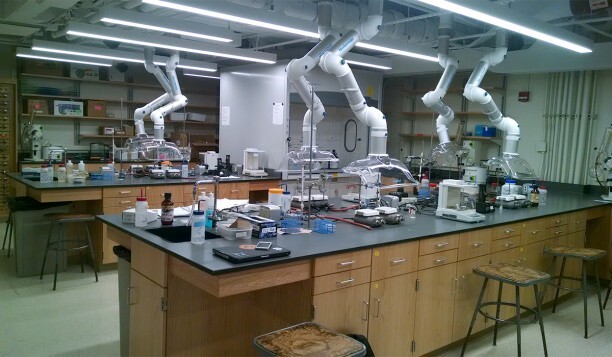 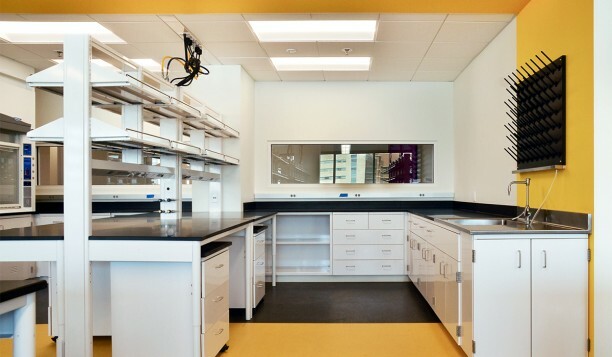 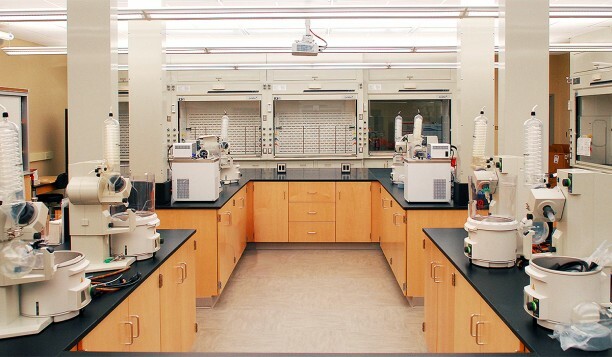 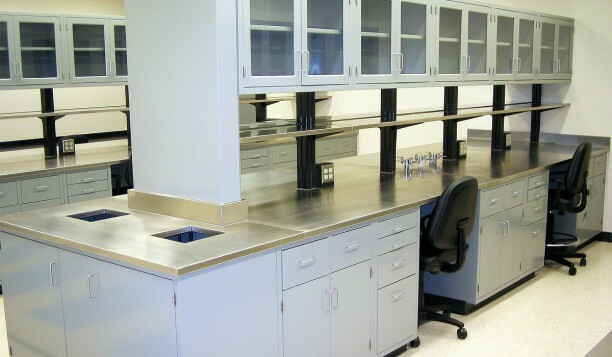 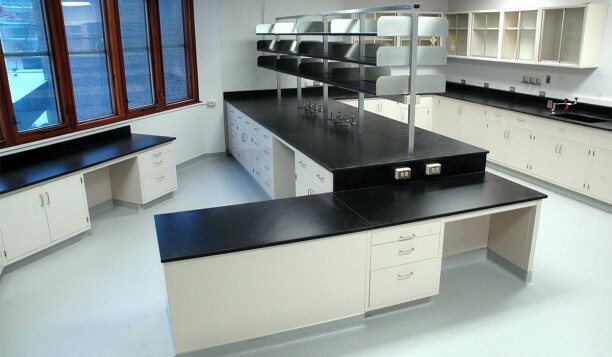 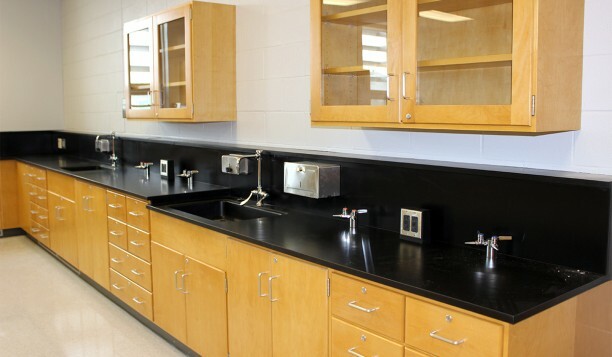 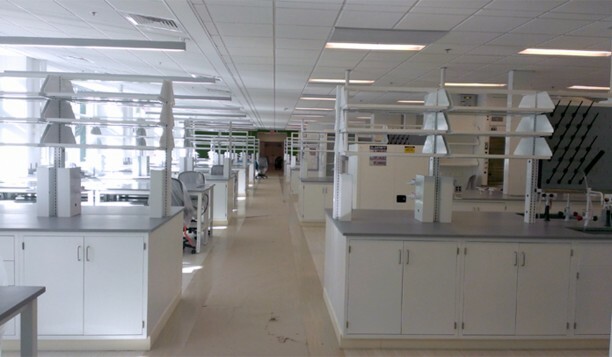 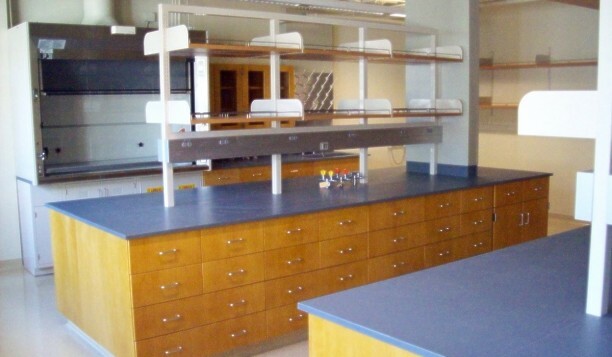 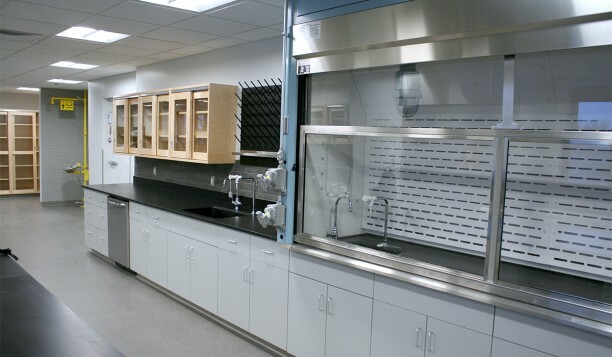 Description: ICI JSI Division Phenolic Casework, ICI JMP Division Fume Hoods. 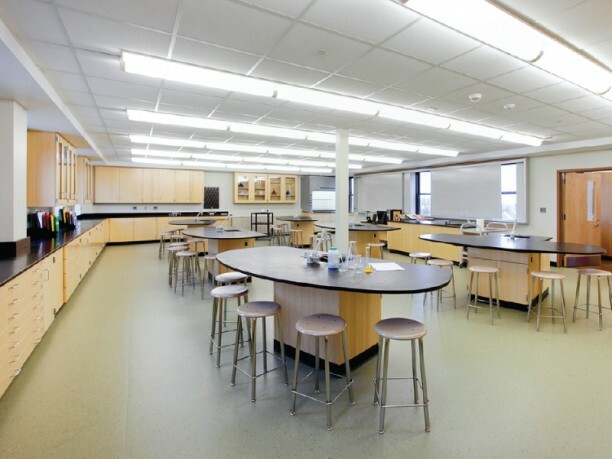 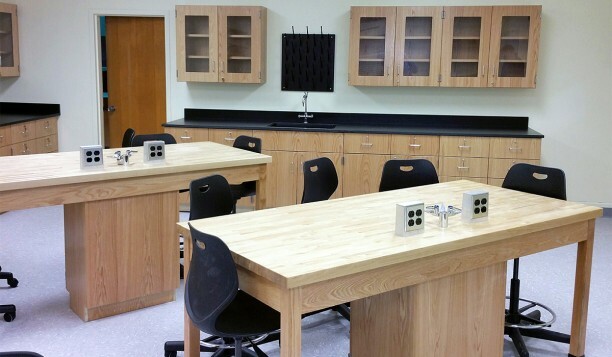 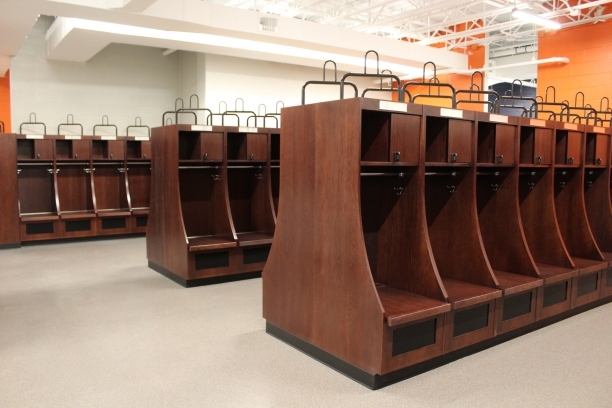 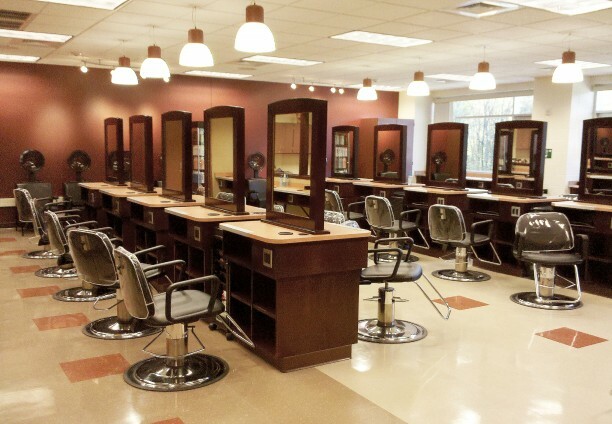 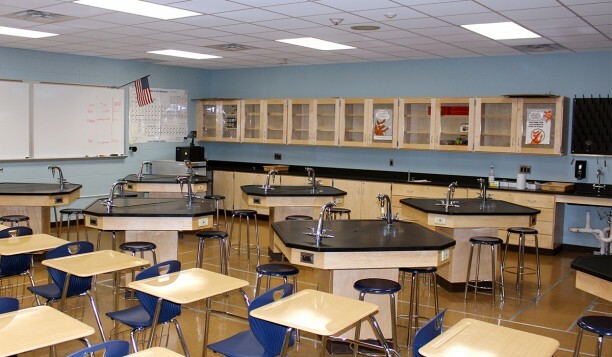 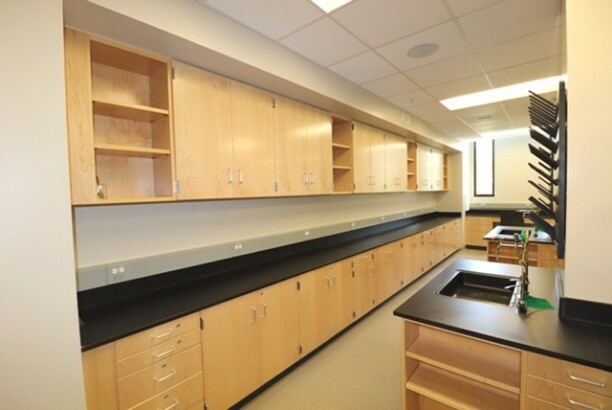 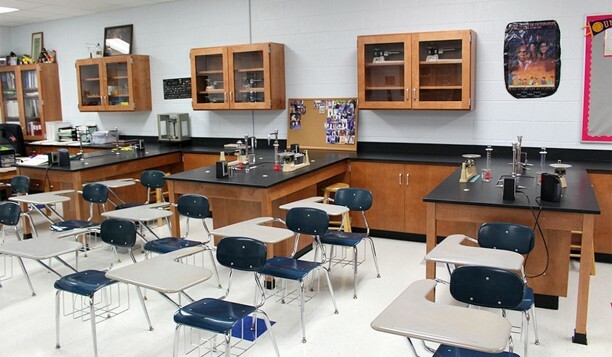 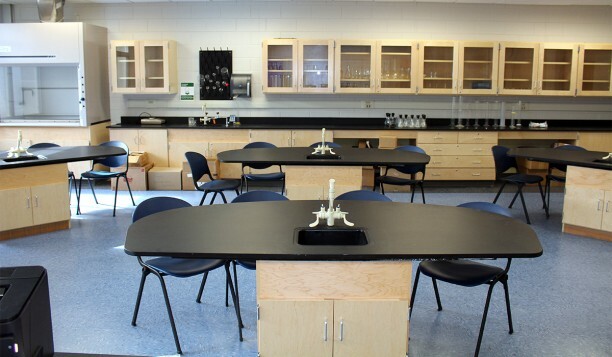 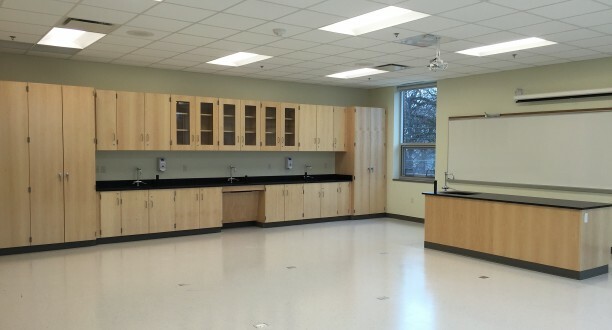 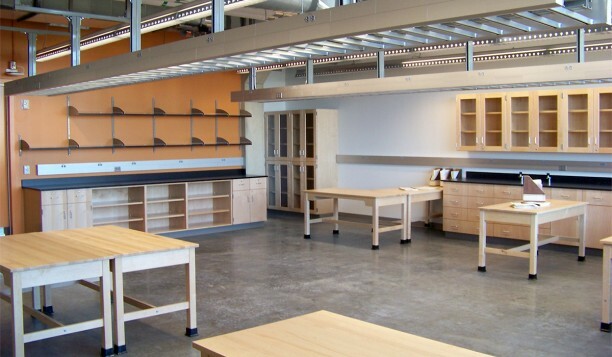 Description: CampbellRhea™ Educational (K-14), Empire Maple, 1000 Natural Finish.